Looks super cool! Have you considered Dawnglare Invoker? Have a splendid day! 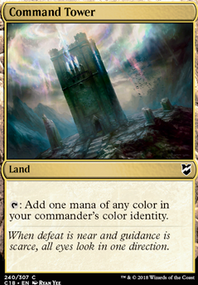 I thought you decided to not include Relic Seeker because it wouldn't be able to get though? Dawnglare Invoker isn't very good, in most cases you'll use it, it's just an overcosted rogue's passage on your commander, Key to the City in the new set is good, Hammerfist Giant is questionable, its ability will hit almost everything you have and possibly not everything your opponents have, consider a better board wipe if you need it, consider a better giant if you need that instead - this applies to Earthquake as well - maybe some good old DoJ and the like? 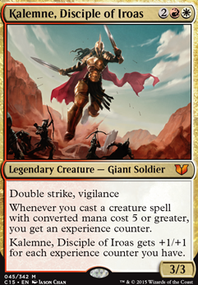 I would use Open the Armory and upgrade to a better card like Stonehewer Giant instead of Steelshaper's Gift. For more synergy with Open the Armory, you could put in any of these op auras such as Squee's Embrace, Dragon Breath, Flickering Ward, Scourge of the Nobilis, or Unquestioned Authority, and for a cooky use of the aura tutor: Chained to the Rocks ( i would put the last one in regardless of any other changes). I think your deck could use some vigilance so you can super chump block with avacyns ability and attack. I think Heliod, God of the Sun is a good choice. Also I always had a lot of fun with Dawnglare Invoker. 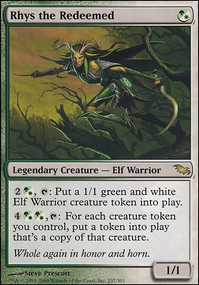 She has the same second effect as avacyn pretty much but can be used more offensively as well. Shed be good for redundancy. Gidgetimer -When I make the following substitutions I am going to work on a minimum of two mana rocks, one of which being Sol Ring (perhaps the other being cluestone). Malignus replaces Nobilis of War. 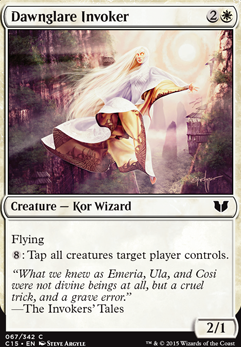 Yosei, the Morning Star replaces Herald of War. Kami of Ancient Law replaces Courier Hawk. Keening Apparition replaces Dawnglare Invoker. 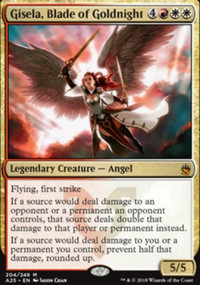 Reckless Reveler replaces Emeria Angel. Hearth Kami replaces Stinkdrinker Daredevil. Chained to the Rocks replaces Weight of Conscience. Deathrender replaces Glory of Warfare. Nim Deathmantle replaces Greater Gargadon. Banishing Stroke or Angelic Purge or Arrest replaces Recumbent Bliss. 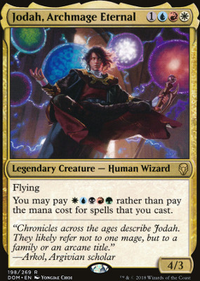 Also - is Razia, Boros Archangel too high of a drop and too little of a thrower for this deck? She doesn't seem to fit the theme very well, but she is pretty awesome.